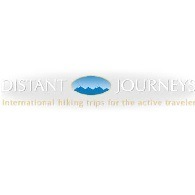 Average rating of 0.0 for all Distant Journeys trips. Enjoy the hike up through the Alpe di Lagazuoi to the Rifugio Lagazuoi (gaining 2,530′) through this vast limestone plateau. Drive to Ra Stua, this pleasant hike offers our first views of the Tofane, the Croda Rossa and the Croda del Becco. Explore Saignon, our hike takes us down though old terraces and orchards, across lavender fields, and through forests to the “Rustrel Colorado. Visit Roussillon is a picturesque Provencal village, with narrow streets and ocher-painted buildings. Awesome opportunity to impressive ruins of the 13th-century Fort de Buoux. Opportunity to see cultural sites, train ride will take you to the 2,000 year old city of Sion, with its 11th century church of Notre Dame, late Gothic cathedral and 13th century castle ruins. Hike from Obersteinberg to Wengen is comparatively easy and so allows for a more leisurely day. Opportunity to hike Ben Nevis, Britain’s highest mountain at 4,409. Opportunity to see Mont Blanc on a clear day. Enjoy the tour, Feigumfossen is one of the highest waterfalls in Norway with a vertical drop of 218 meters.